Author’s Note: Have an online resource you find valuable enough to want others to know about? Please consider writing up a brief post for the CNYO website so we can include it in our list! If you’re not the blogging type, then please send along the info to info@cnyo.org. It can be rightly argued that the internet’s greatest benefit to society is the amount of information made freely available. It can also be argued that the internet’s greatest drawback is the amount of information made freely available. And I’m not just talking about the many, many nonsensical pseudo-scientific videos that go viral on Facebook that accost your logic centers and disappear the next day. Websites and bloggers who consistently provide organized, well-researched, up-to-date information about any topic are worth their weight in bookmarks. This is particularly true in astronomy, where what we know about pieces of the universe both close by and beyond the first visible photons seems to change noticeably by the year. Long before the rise of the www, numerous RSS feeds, podcasts, and amateur astronomy blog sites, our community relied heavily on the august Sky & Telescope and venerable Astronomy Magazine as one-stop shops of current events and new discoveries (and our friends across the pond extra-enjoyed Sir Patrick Moore and Sky At Night). The serious gear-centric amateur astronomer might also feel a hole the size of the Boötes Void without a subscription to Astronomy Technology Today. All three have taken the internet to heart and incorporate web specials and social media as part of their everynight activities. Our content is written with the collaboration of professional astronomers, and while suitable for all levels of interest, aims to avoid the over-simplification characterising many other sources. 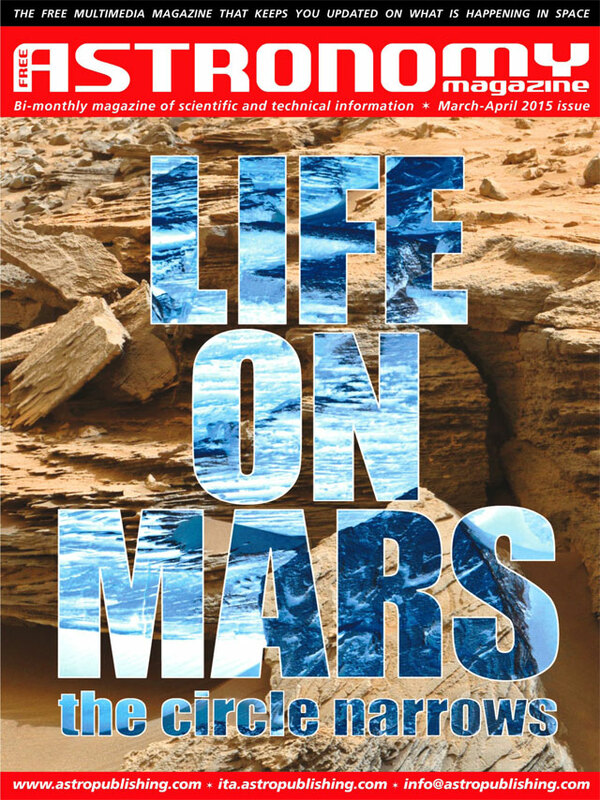 The completely free PDF magazine uses the best that social media and our direct feeds to global space agencies has to offer, providing well-written, highly informative articles complete with embedded videos and all of the best images that fly by our favorite astro (and general news) websites. Once you get used to the interface, you’ll quickly be able to jump around pages, zoom around for better views, and download the magazine in PDF format (which may make your life a little easier if you’re reading on a tablet or slower laptop). 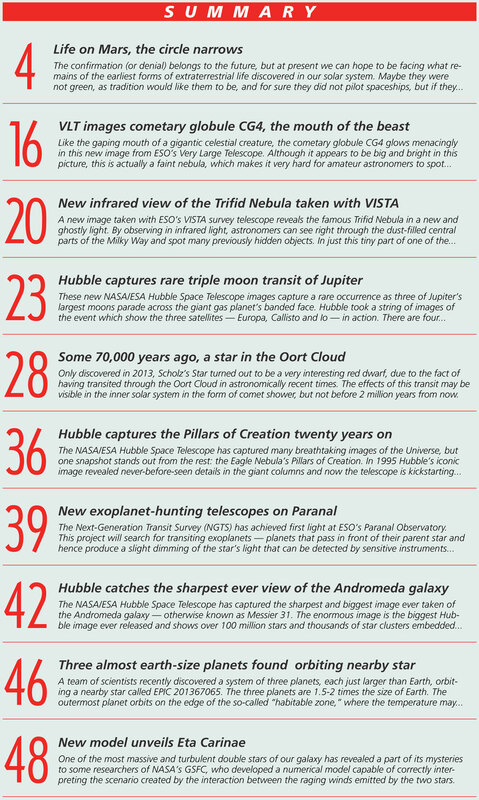 Do give the current issue on the astropublishing.com website (and the many available back issues) a good look, which includes a nicely varied list of topics (click on the image at right for a view of the current Table of Contents). For those of you interested in knowing more about the recent history of astronomy (and amateur astronomy product developments), Dave Wormuth is offering up a small treasure trove for free. His post to the Syracuse Astronomical Society website on the 26th is reproduced below. I have old copies of Astronomy Magazine (Sept 93 to Feb 07 (mostly inclusive)) and Sky and Telescope (Feb 02 to March 09 (mostly inclusive)) free to a good home. Contact dwormuth at wormuth dot org if you are interested. Located in Jamesville, will mail if postage is paid. Going to recycling heaven after Labor Day! Having a master scope builder in our own backyard has made the lives of several CNYO members very easy. Not only is Ryan Goodson a great observing partner, but he has either brought or built many of the best scopes that make their way to our library lectures, later-night school outings, county parks, North Sportsman’s Club, or his own observing base at New Moon Telescopes HQ. To that end, I’m happy to help Ryan and NMT celebrate a unique astronomical milestone this summer, having pulled off recognition in three prominent astronomy magazines. To begin, Ryan contributed a combination technical analysis/product review based on a hot topic he’s been pondering from the builder perspective for over a year now. 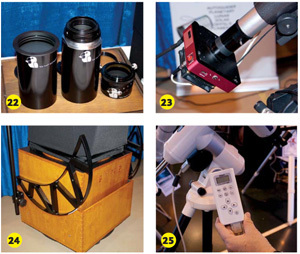 The article, “Calculating The Perfect Telescope Size Post Paracorr Type-2,” is one of the feature articles in the May-June 2014 issue of Astronomy Technology Today, one of the great amateur astronomy magazines that features contributions from the broader amateur astronomy community. For those who missed their chance to pick up a copy at Barnes & Noble this year (the only place around here that we now carries it), ATT and their editor Gary Parkerson have allowed CNYO to reproduce the article in PDF format for your reading pleasure. And the perfect telescope size is…? The perfect telescope size is… It’s a line that invites critique and insight from every corner of the astronomical community. Having built a number of telescopes for clients all over the U.S., I have called three of my New Moon Telescopes my own: a 12.5-inch f/4.9, a 16-inch f/4.5, and a 27-inch f/3.9. Outside of those three Dobsonian-style telescopes, I have also owned various refractors and binoculars and a large arsenal of eyepieces. But since I build Dobsonians-style telescopes (okay, “Dobs”) for a living, however, I will limit my opinion to that particular style. My opinion of the perfect Dob size has changed over the years as my observing habits have also evolved. NMT had a great showing at the Northeast Astronomy Forum (NEAF) this past year (and several of us stopped by the booth looking for free samples). 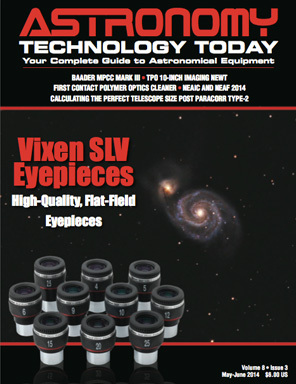 In their own coverage of event highlights, the venerable Sky & Telescope Magazine (also worth your considered subscription – their list and coverage of important astronomical events is certainly one of the best ways to know what the month holds for amateur astronomers the world over) focused in on NMT’s new aluminum bearing design. Kudos to John Giroux for spotting the bearings first. 24. www.newmoontelescopes.com New Moon Telescopes had a great display of its custom mid- and large-aperture Dobso- nians. Of special note were the company’s new lightweight-aluminum altitude bearings with a textured powder coating that produced just the right amount of “stiction” for a Dob mount. 3. Star Product Designation From Astronomy Magazine! 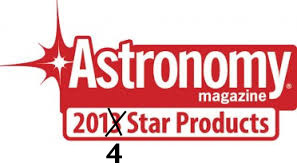 To soon be announced in the September issue of Astronomy Magazine, NMT’s 12.5 f/5 Dobsonian telescope has been selected as a Best-Of by the other venerable oracle of events and celestial highlights. An excellent notch in Ryan’s belt that several of us already knew all about. As a shameless plug, I’m the proud owner of the first NMT production model, a 12.5″ f/5ish Dob known affectionately as Ruby (for the red MoonLite focuser). Now over 3 years and many, many observing sessions in, I’ve yet to want for another telescope. Not even interested. Stay tuned for more press when the official publication comes out. In the meantime, a hearty congrats to Ryan (and Heather and Lily!) and NMT on the astronomical trifecta!